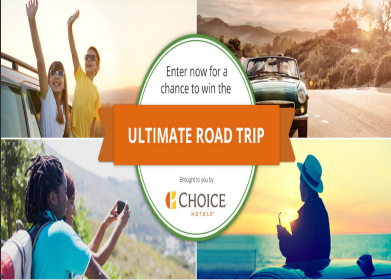 Trip Advisor Ultimate Road Trip Sweepstakes – Win $3,800 & more! 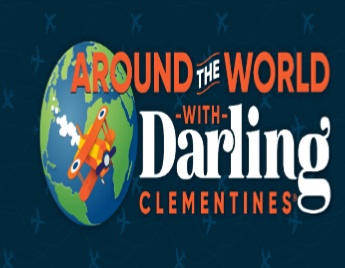 Win $3,800, a $1,000 Choice Hotels gift card and a GoPro Hero! ENTRY LIMIT – LIMIT: You may enter one time per calendar day (EDT) during the Sweepstakes Period excluding Bonus Entries. BONUS ENTRY: Once you have registered for the Sweepstakes, you will be offered the opportunity to refer an eligible friend who is a legal residents of the 50 U.S. states and the District of Columbia, 18 years of age or older at the time of entry and who has given you permission to communicate with them via social media (“Eligible Friend”) to enter the Sweepstakes. LIMIT: You may earn as many Bonus Entries as you wish. ELIGIBILITY – The Ultimate Road Trip is open only to legal residents of the 50 U.S. states and the District of Columbia, 18 years of age or older at the time of entry. SWEEPSTAKES ENTRY PERIOD – Sweepstakes begins Tuesday, May 10, 2016 at 12:00:01 a.m. Eastern Daylight Time (“EDT”) and ends Monday, October 7, 2016 at 11:59:59 p.m. EDT. -$3,800 (prize awarded in the form of a check payable to the winner). -GoPro Hero (approximate retail value $200). Total approximate retail value $5,000.